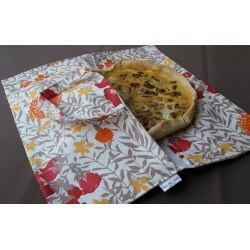 A new gift idea to bring when you are invited for dinner: forget the flowers and bring a pie bag instead! 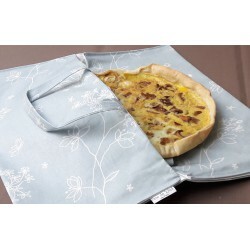 Waterproof and anti-stain, our pie carrying bag is made in coated cotton. 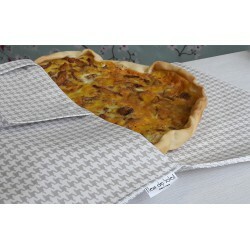 Whatever the ingredients you put in your pie: fruit, sugar or olive oil, a simple sponge will be enough to clean your pie bag. 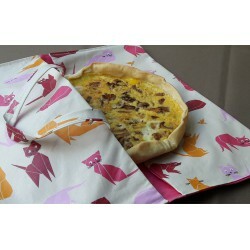 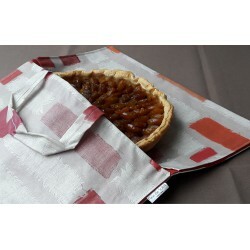 No more tea towels to bring your pie! 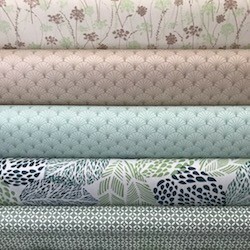 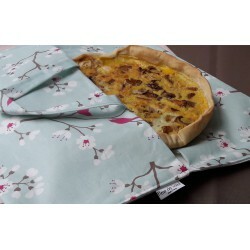 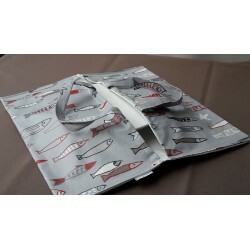 If you prefer to make it yourself, check out our pie carrying bag tutorial: and buy 2 pieces of coated cotton par metre.